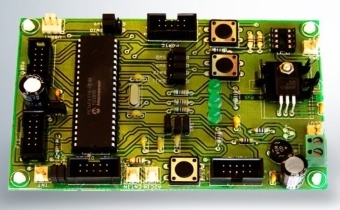 UroBoros Technologies was founded in 2012 by a team of Engineers who has more than 10 years of experience in Embedded Systems and automation. The main objective was to provide Embedded design services for the industry as well as develop own products in the same field. 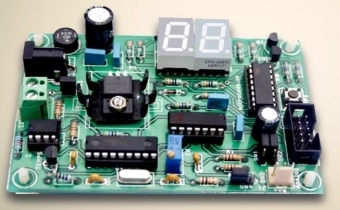 We have designed development and training tools for Microcontroller Industry as well as training establishments. Comprised with a excellent team of Electronic and software professionals with a sound backup of management and public relations wing, we presently constitutes a work force which are poised to play a dominant role in the Microcontroller and DSP scenario. Armed with sound theoretical know-how, current technology trends and profound practical skills, our engineers as a team innovate and develop technological marvels for our valued customers in particular and for humanity as a whole. Whatever be the needs of our customers in our concerned arena, we are confident enough to undertake the task with only limitations imposed on us as human beings and as an enterprise constituted by them. We work with corporations and new generation technology companies to build new products or services and to implement prudent business and technology strategies in today's dynamic digital environment. Our development products can make your product release and marketting curve easy to conquer and boost your productivity. Our products and services are designed to help individuals, students, entrepreneurs, and corporate teams to enter into new areas of technology effortlessly, communicate clearly, and unleash technological creativity like never before. UroBoros Technologies is dedicated to improving technological know-how and people's lives through the use of advanced technology and a commitment to innovation, quality, value, and design. Business establishments nowadays are getting more centralized to the core areas of their maximum leverage. Production firms concentrate only on production, marketing firms focuses and extract maximum from marketing. In such a changed scenario we are offering our expertise for those who do not want to concentrate on electronic Research and Development which is not where they are having expertise. For those enterprises which are engaged in electronic products manufacturing or marketing, who themselves may or may not have a design house, can avail our services. As product development is an area where extensive research is required, many enterprises nowadays is not finding it cost effective to maintain a R& D division for their own technology needs because of the nature of their current business strategies. They find it speedy and effective in the long term in their own business interests, to hire the services for development from outside sources that is having the infrastructure. For such customers, we can be a true source for technology and consultancy for development services in electronic products and devices. We can offer services for the development of entire product or parts of it. We have different packages for our services to suit different customers who are having different operating practices, marketing strategies and different financial projections in their business ventures. We can develop products for you as per your requirements and transfer the entire technology for your production department or we can offer services on a royalty basis or even we can produce the end products and deliver with high level of quality control so that you can handle marketing only.